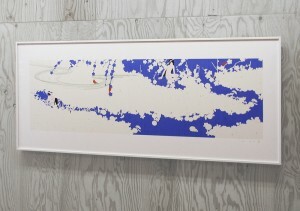 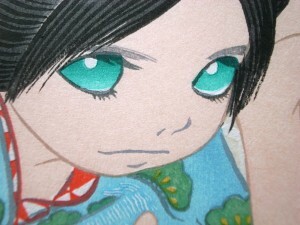 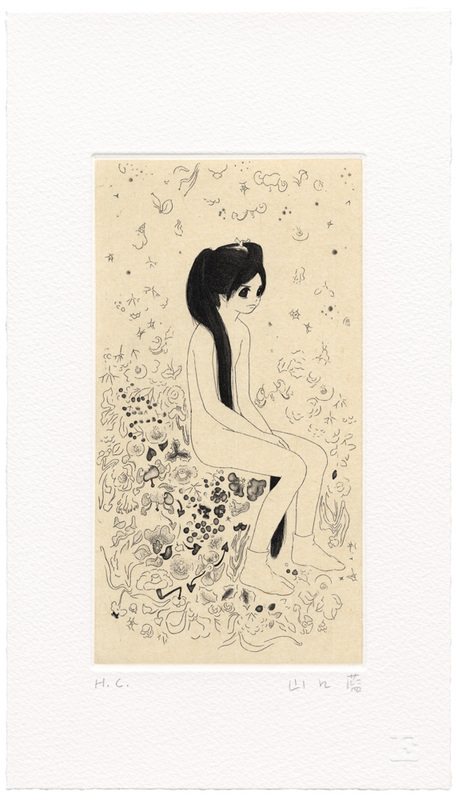 In 2008, Ai Yamaguchi’s solo show was held at ROBERTS & TILTON in Los Angeles. 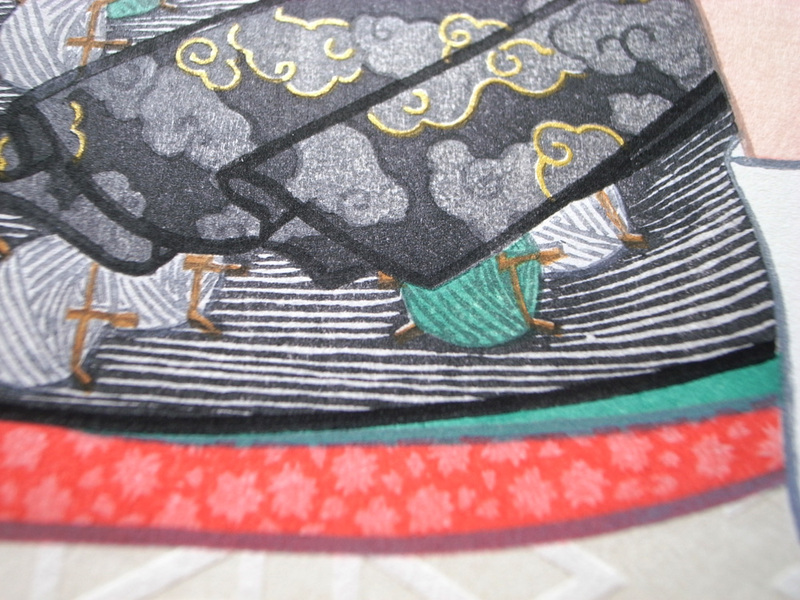 The main work was a large object shaped Japanese traditional barrel. Though the out side of the barrel has plain surface, but entering inside without shoes, the audience is surrounded by the painting in a dark room. 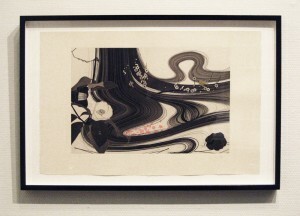 The space has a kind of meditational air and you may feel the artist’s view of life and death. 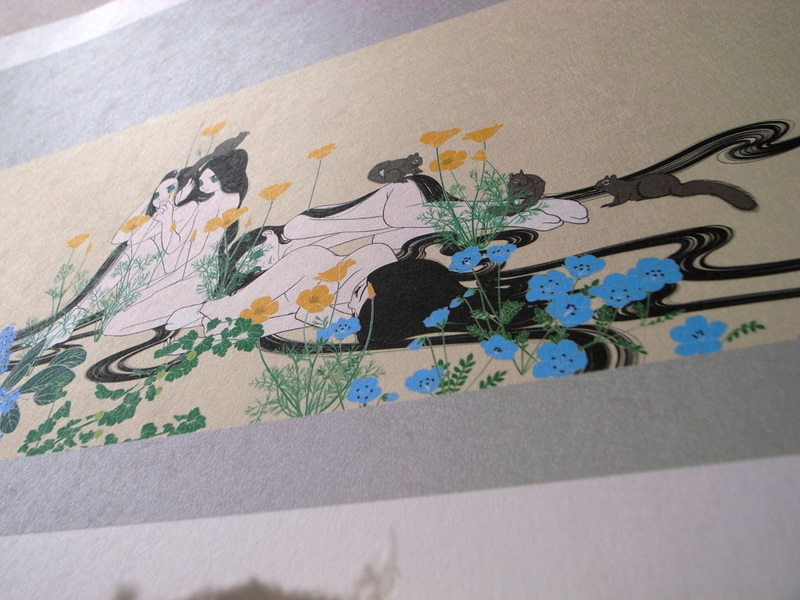 The print was produced in parallel with the object and it has the same subject. 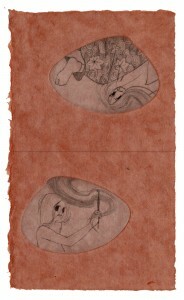 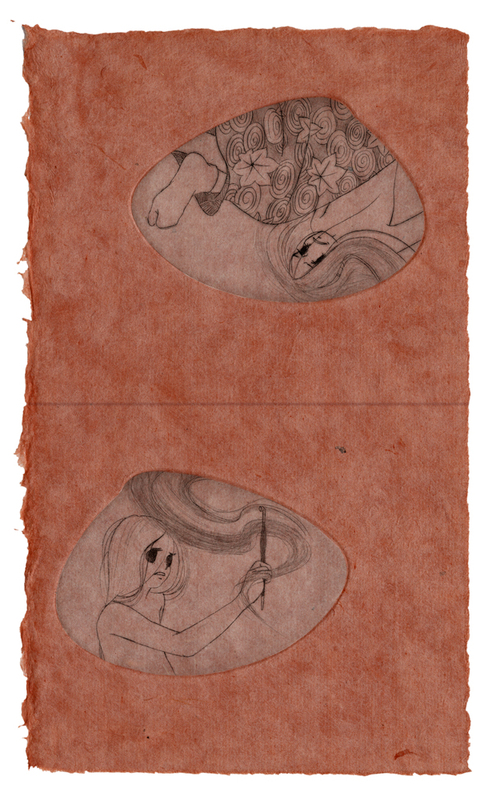 The image has horizontally long shape as if it were an illustrated scroll codex to read the theme of the large work. 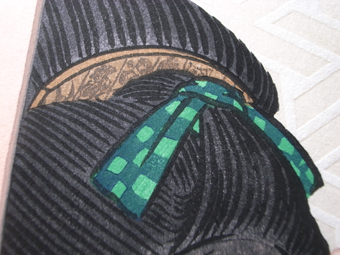 The main method of the printing is digitalprint on hand made Japanese paper. 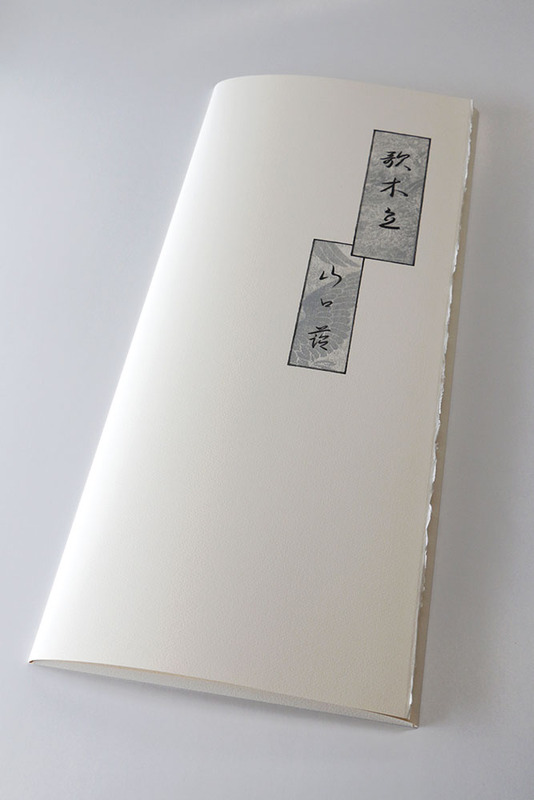 The particular treatment of the papers made on each sheet by hand at our workshop realized crisp printing without loosing soft and natural feeling of the hand made paper. 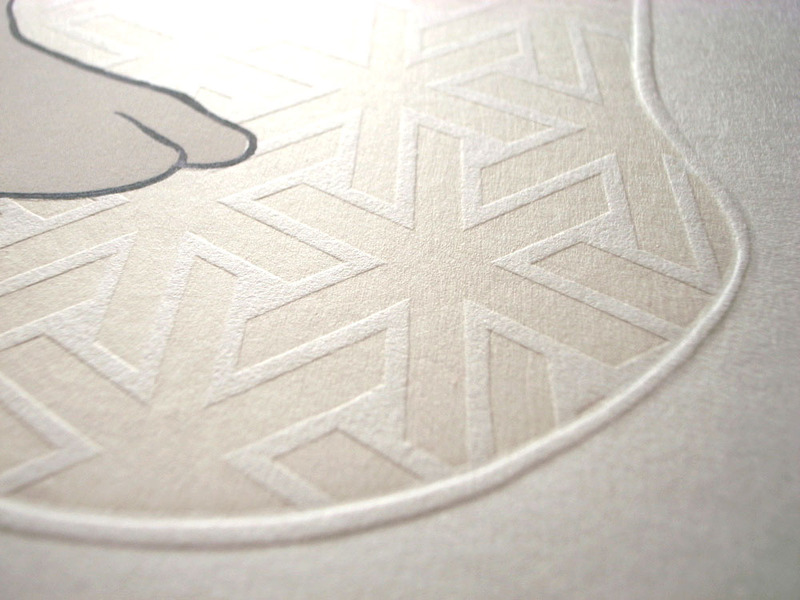 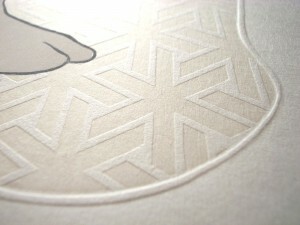 On the gray areas on top and bottom of the image, a slight pearly shine was added by screen print. 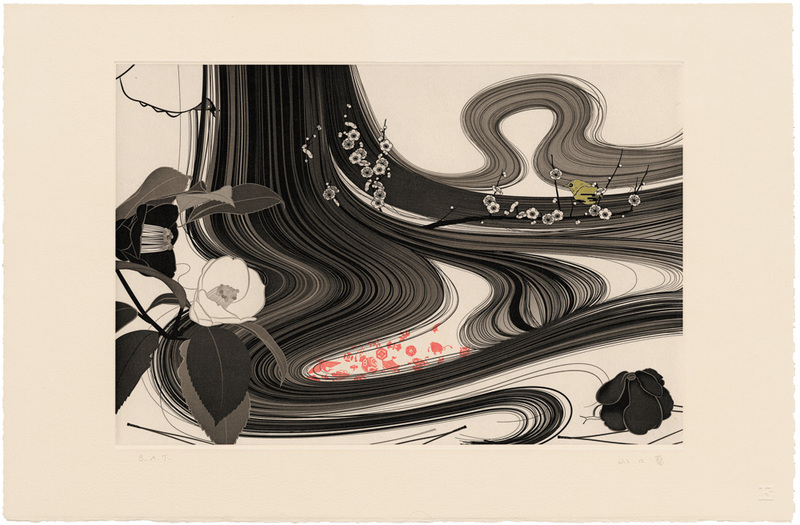 “tokuru kami no himagoto ni” is the etching appears Ai Yamaguchi’s new feeling and style. 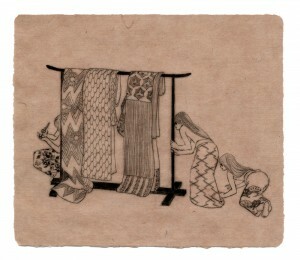 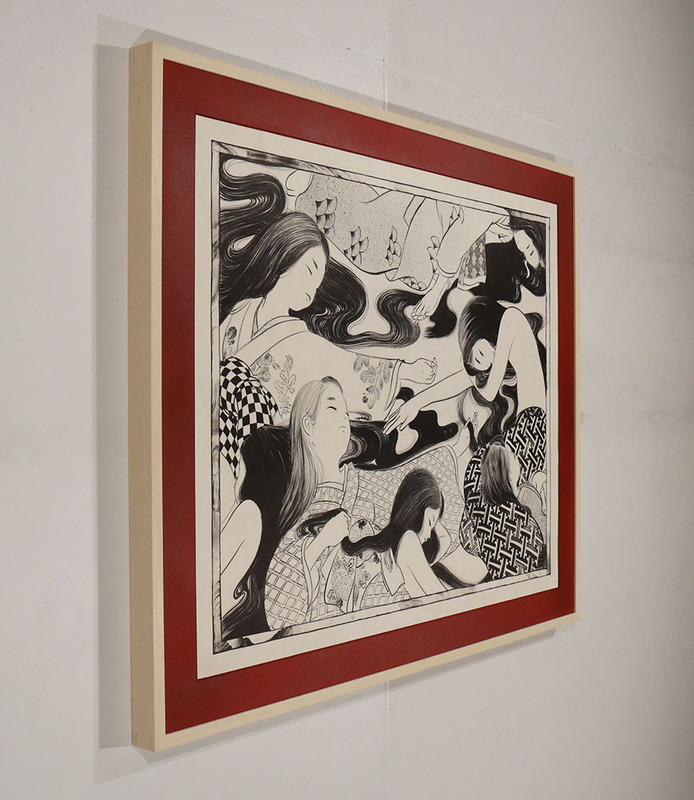 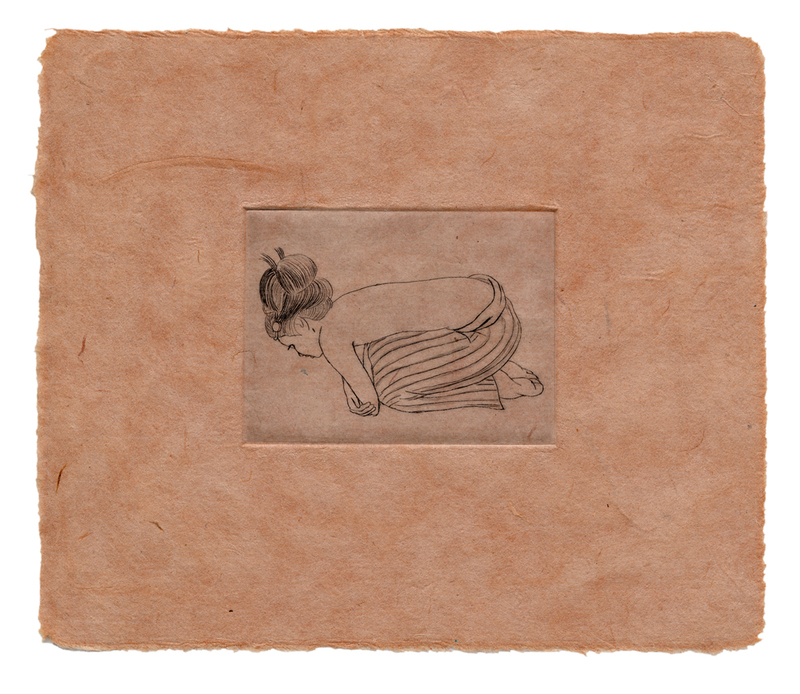 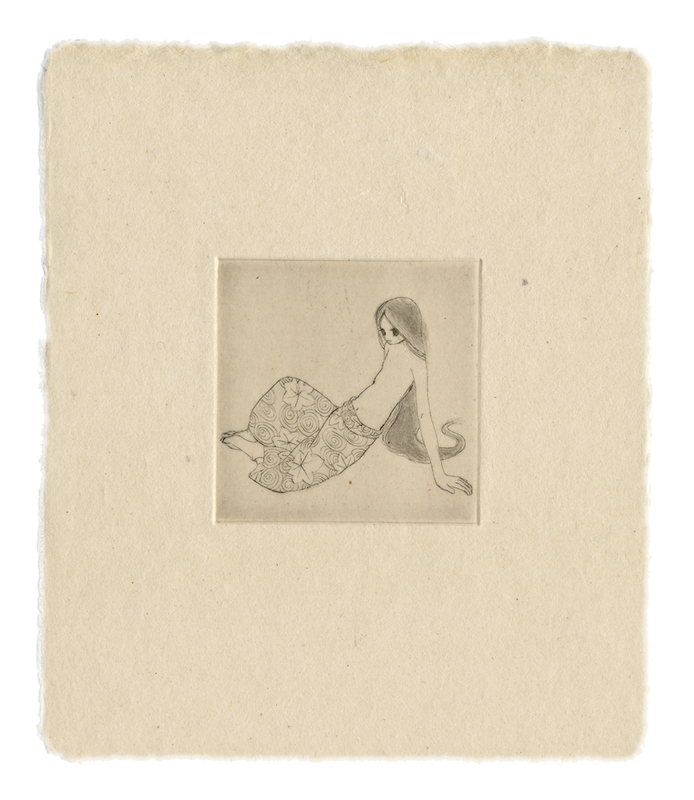 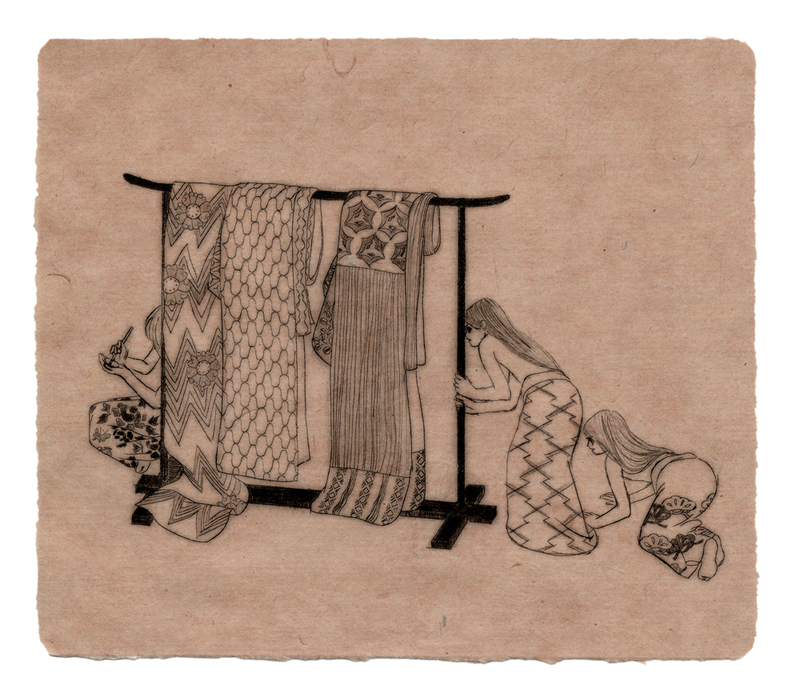 Around the end of 2006, this etching was shown for the first time at a group exibition “GIFT, THE STORE” (Spiral Garden, Tokyo). 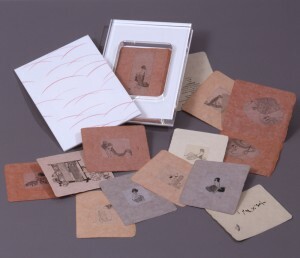 After that, Spring 2007 , the one person show at Mizuma Art Gallery was held in Tokyo. 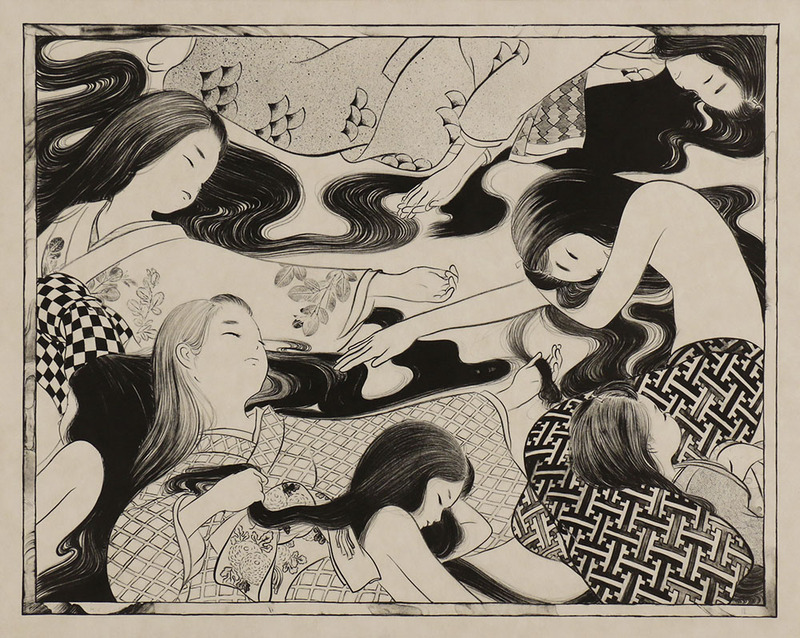 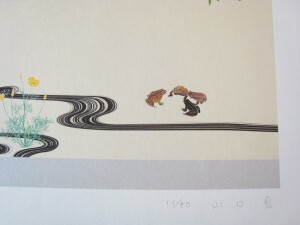 The exibited paintings were full of Yamaguchi’s apparent new stream. 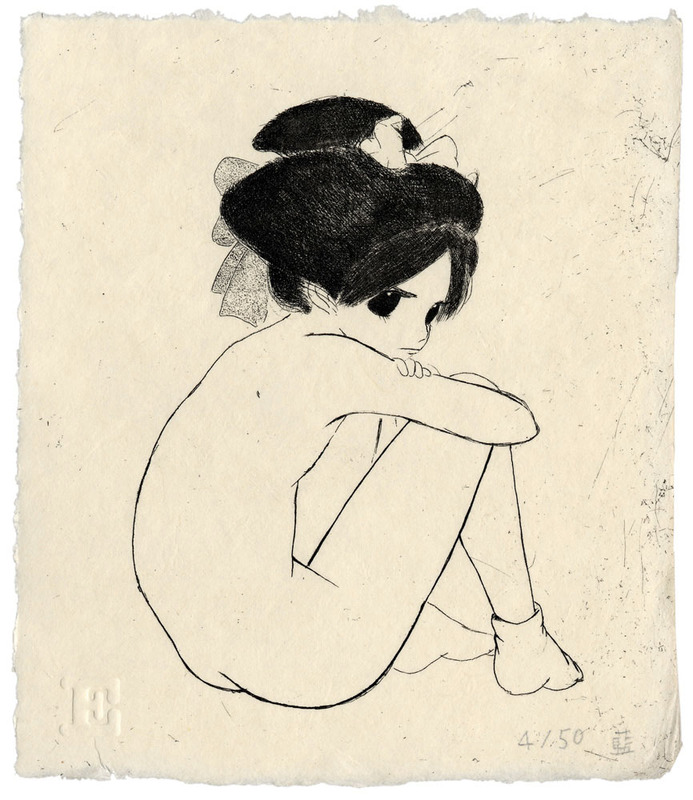 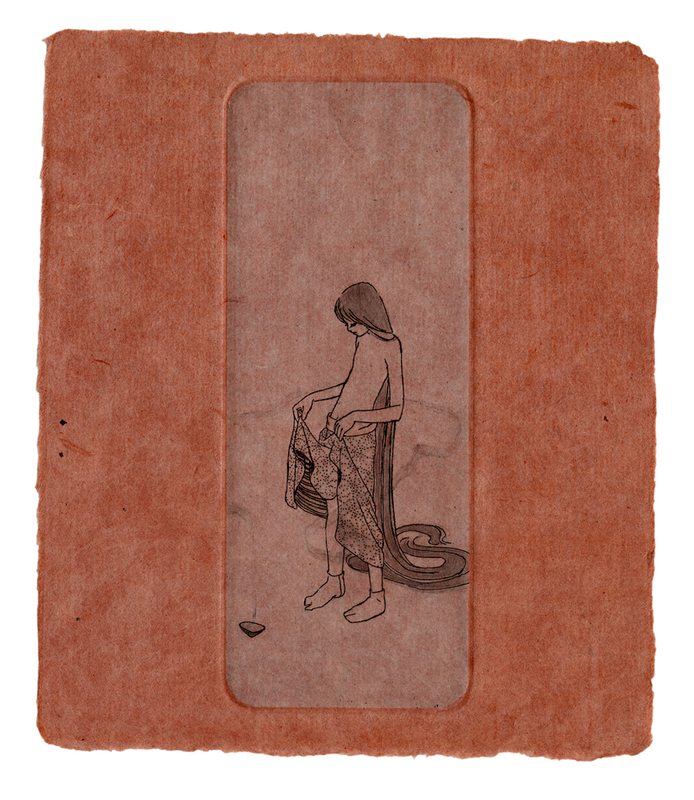 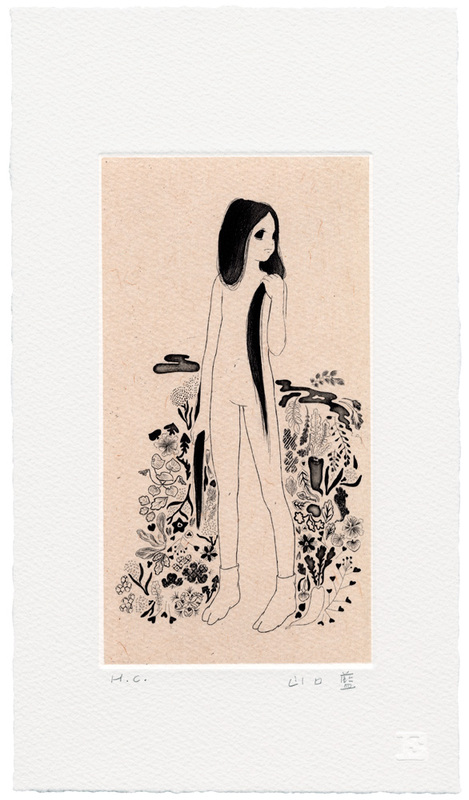 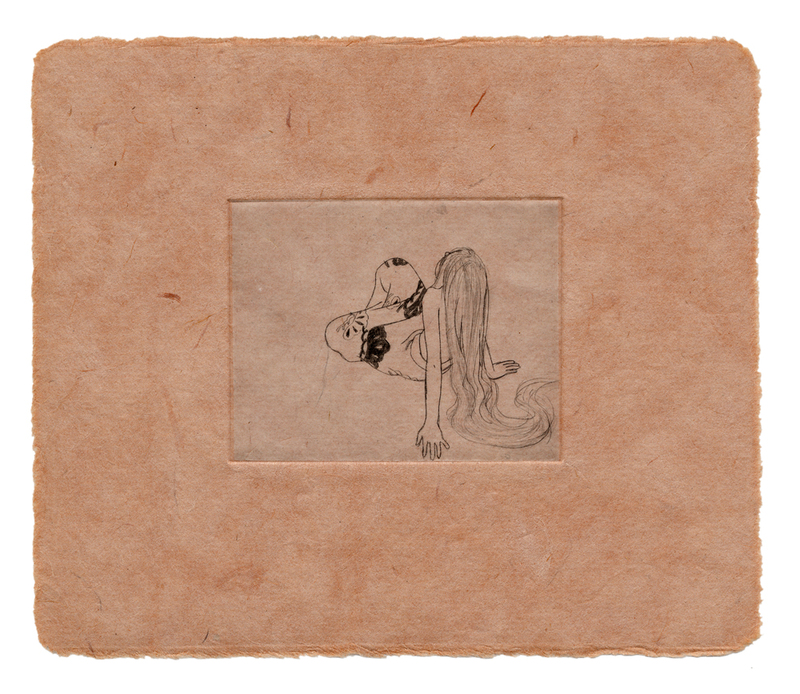 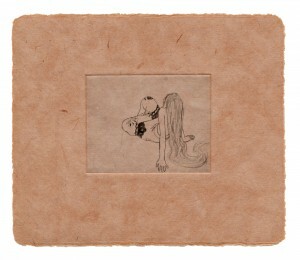 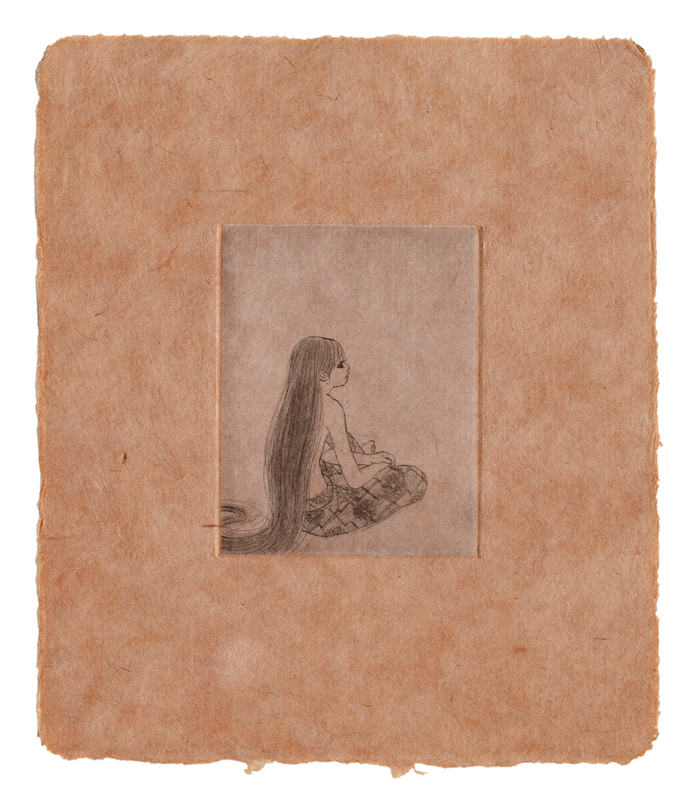 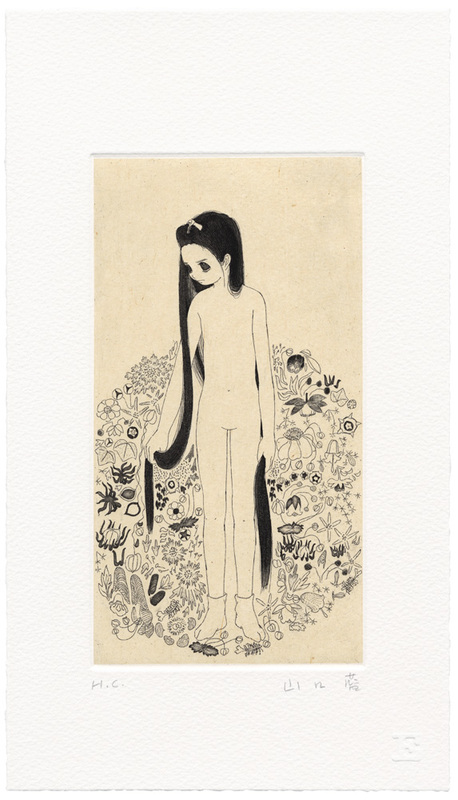 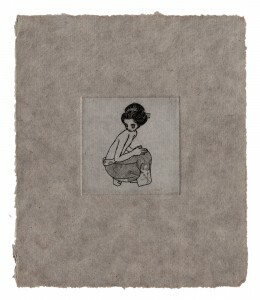 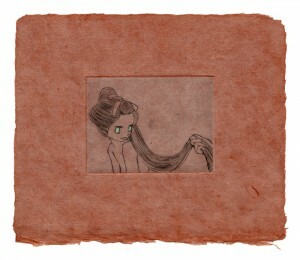 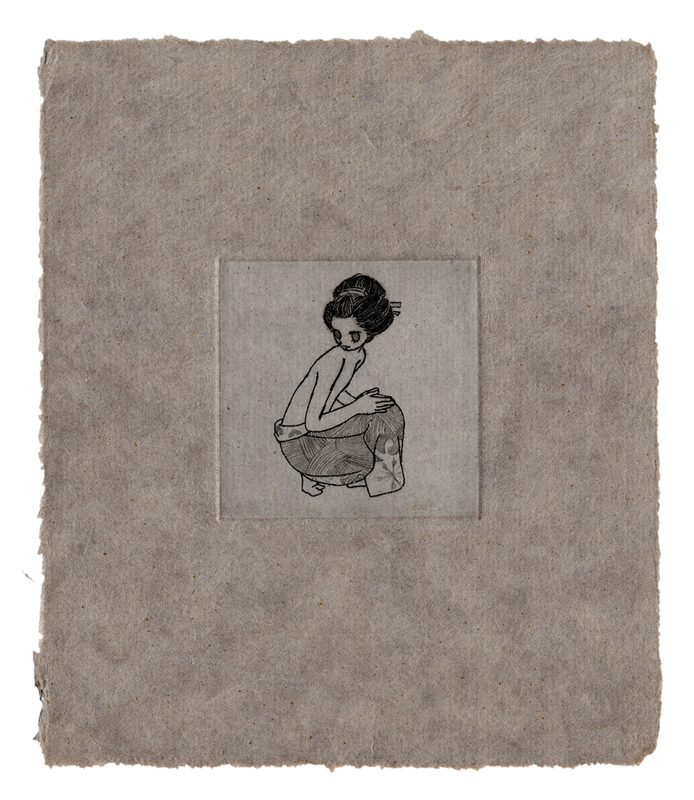 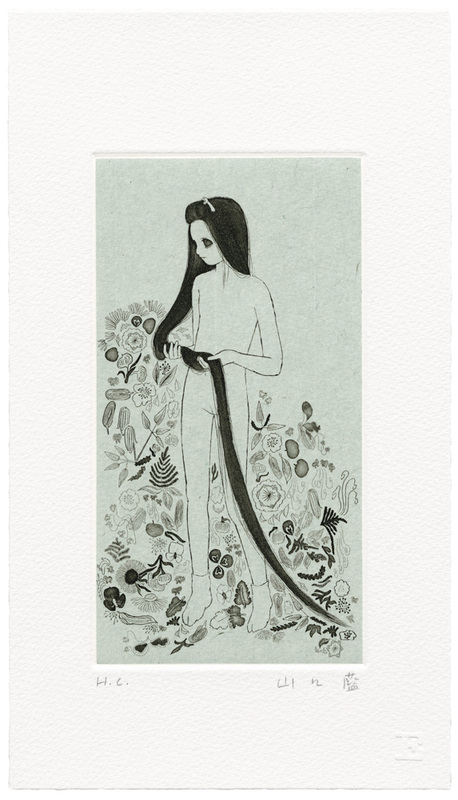 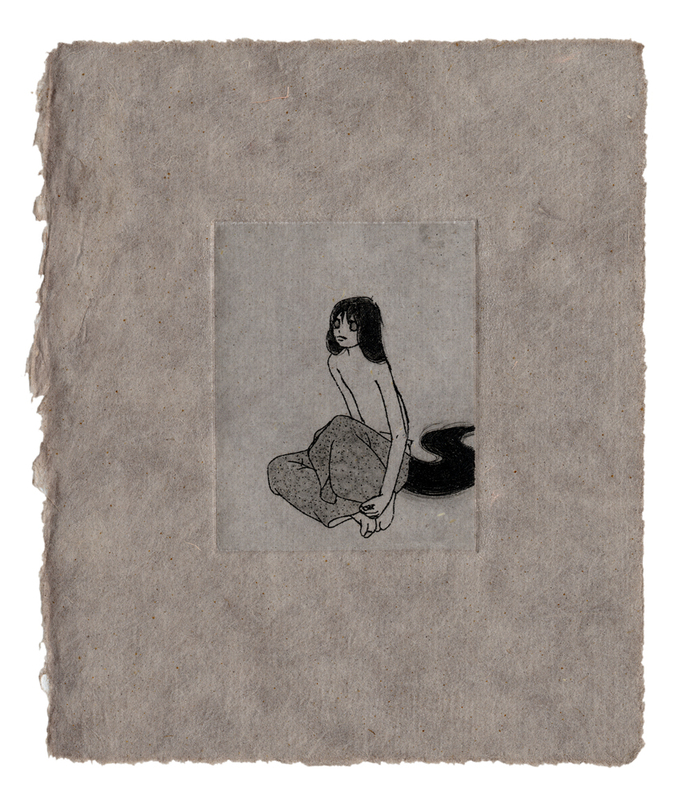 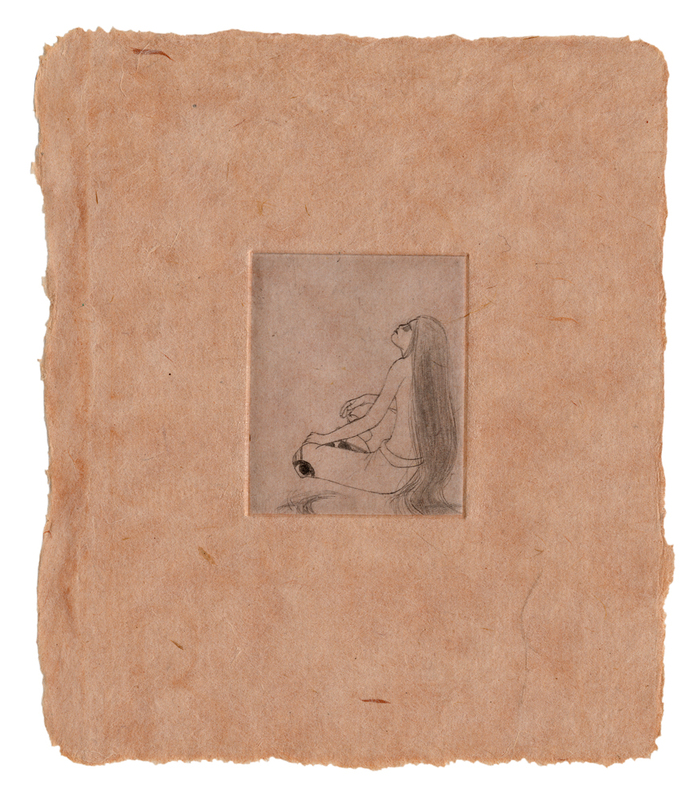 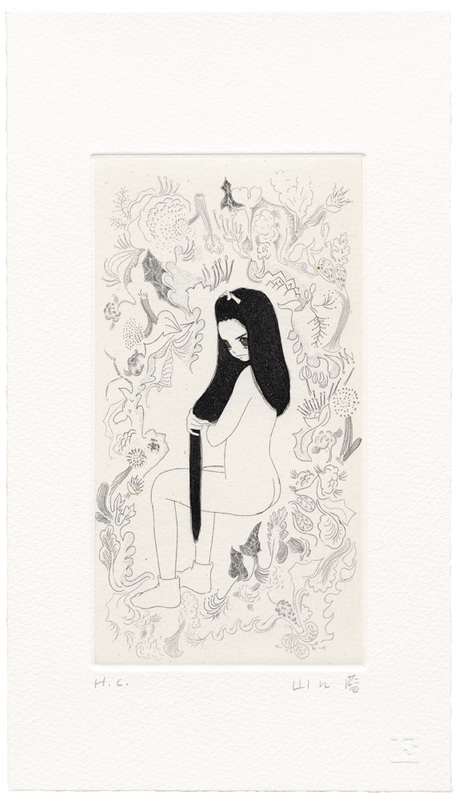 The girl’s blak and floating hair on this etching shows something strong rather than the transient beauty. The bird in gold on a sprig was hand-colored carefuly by the artist on the etching printed in two colors with chine colle’ techinique. 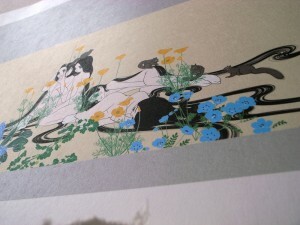 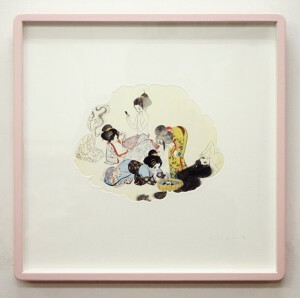 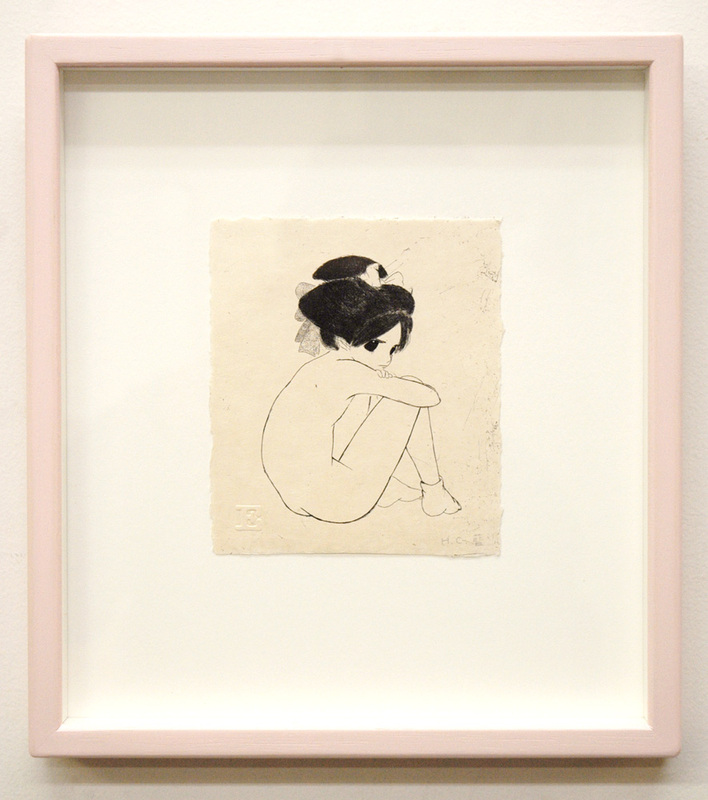 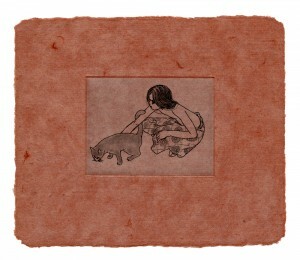 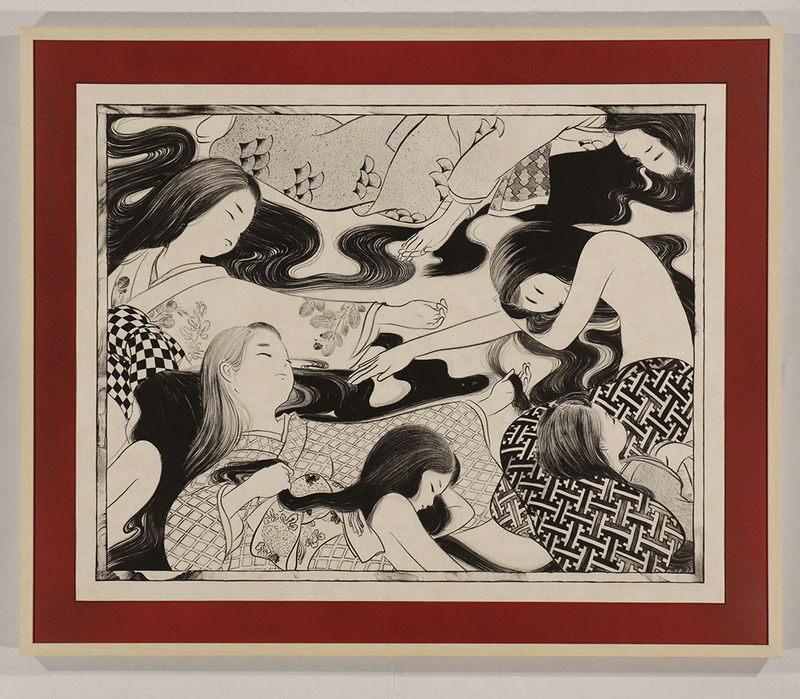 “Kagamishigure” is Ai Yamaguchi’s first color etching made in 2005. 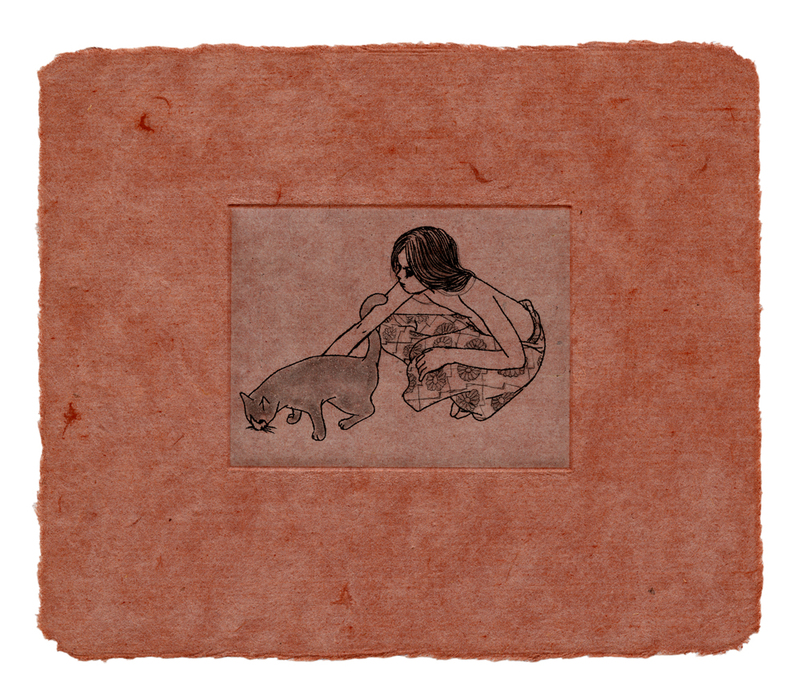 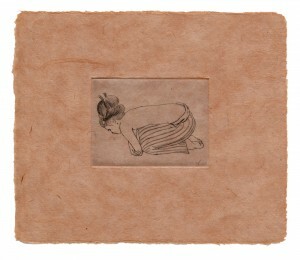 This colorful and delicate etching was printed by the five cloud-shaped copper plates. 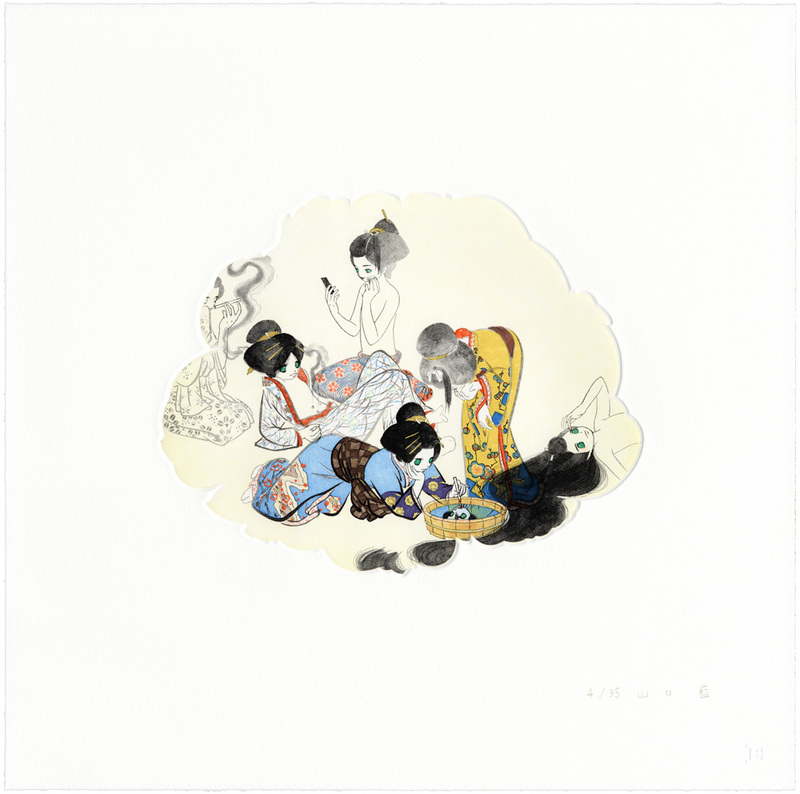 You would feel as if you were looking a scean inside room through a Japanese traditional decolated window. The image of “N” was drawn so quickly on the copper plate and the proccess of etching was done once only. 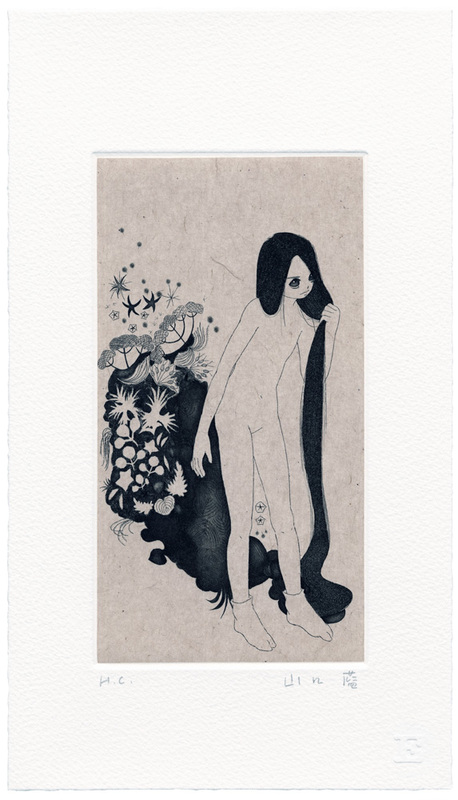 It provided the sharp and fresh impression to the girl’s shape. 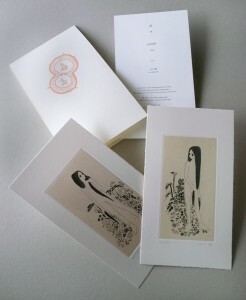 The frames for these prints were designed by the artist herself. 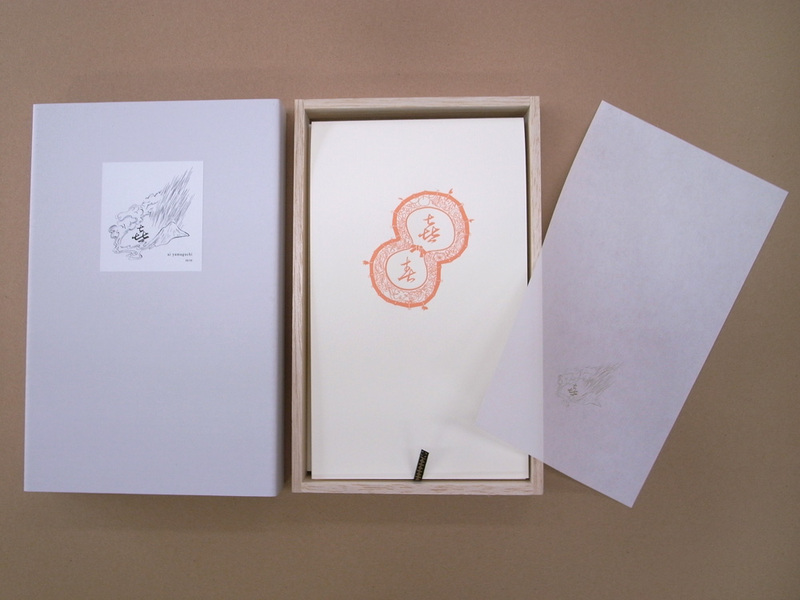 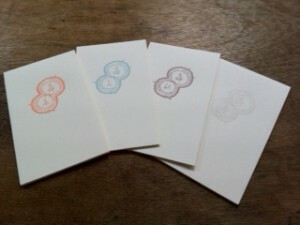 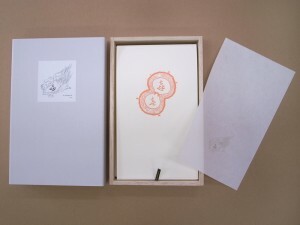 Ai Yamaguchi’s digital print; the first to be made as an Edition Works publication. 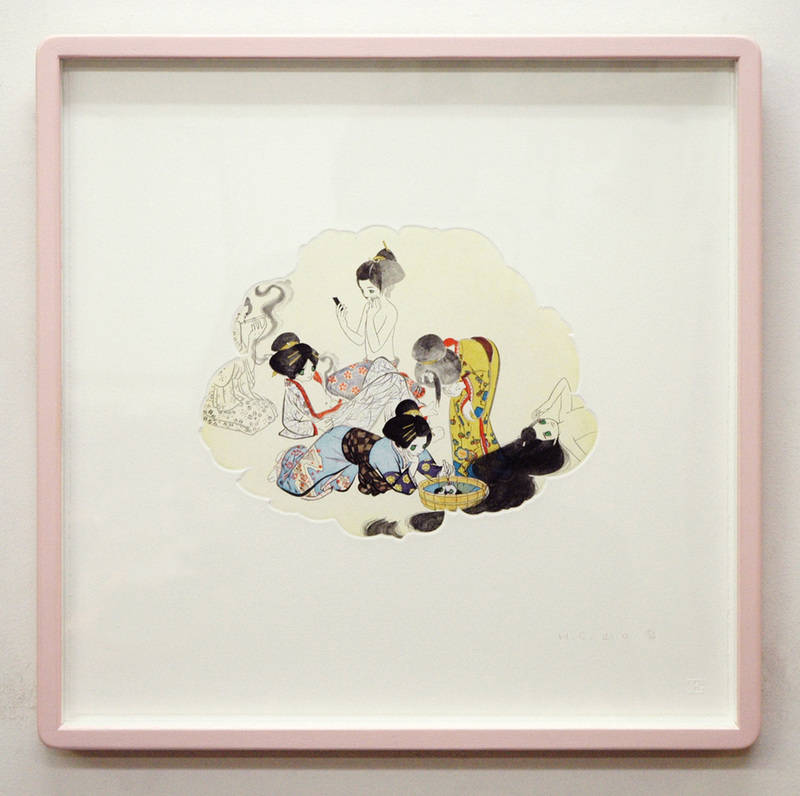 It was made for the one person show at Mizuho Oshiro Gallery which runs from February to April 2004.